The influential founder of Dunlop Manufacturing – creator of picks, capos, effects and more –passes away. Jim Dunlop Sr, one of the most influential faces in the guitar gear world and founder of the Jim Dunlop company, has died, according to reports on Loudwire.com and other outlets. Glasgow-born Dunlop founded the company that bore his name in California in 1965, having relocated from Canada at the start of the decade. Dunlop is perhaps most famous for its ubiquitous guitar picks, but the company has also been responsible for producing a huge array of influential and successful musical products, from capos to effects pedals – most notably the modern Cry Baby wah pedal. 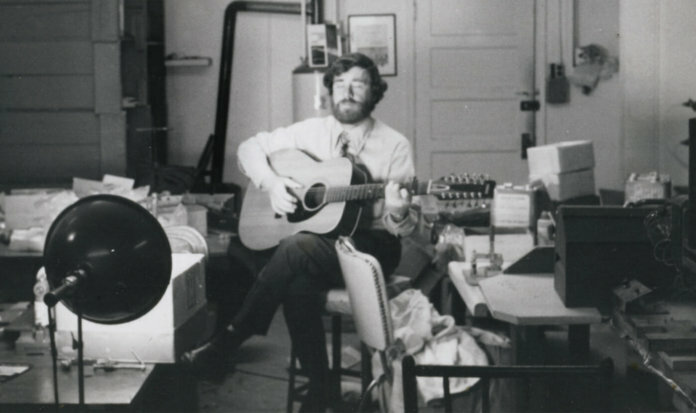 After moving to San Francisco with his pregnant wife in the early 1960s, keen guitar player Dunlop took a job as a machinist while pitching a guitar-related invention, the Vibra-Tuner, to music stores at the weekends. Then one day serendipity struck. Dunlop’s development of the 1400 capo coincided with the folk boom of the 1960s, and he soon moved into making slides, but Dunlop’s real big break would come when a frequent customer, Berklee luthier Jon Lundberg, suggested Jim start reproducing the old National thumbpick. It would be the start of a venture that resulted in the Jim Dunlop company. His thumbpicks were a huge success, and soon he’d start making nylon flatpicks, which would be even more successful. Before long Dunlop was a leader and innovator in the guitar pick world, creating a variety of hugely popular and often imitated plectrums based on information about pro guitar players’ preferences he read in guitar magazines. Perhaps the most famous Dunlop pick design is the Jazz III, but equally influential was his company’s development of the Tortex material, which by the 90s had become the most popular type of plectrum on the planet. But Dunlop’s story wasn’t just about plectrums and capos. Since the 1980s, the Dunlop name has become equally synonymous with effects, most notably the Cry Baby. Dunlop purchased the Cry Baby name after it had been discontinued in the early 80s, but it wasn’t off the market for long. “The pedals had been off the market for six months,” he said. “Dealers were unable to get them in their stores. We wanted to bring them back.” Rather than just recreate the same beloved but somewhat unreliable pedal, Dunlop turned his machinist’s brain to rectifying the flaws and common complaints of the original design to create a pedal that would be up to the rigours of modern guitar players. The reborn Cry Baby was a stratospheric success, being played by everyone from Stevie Ray Vaughan to Slash to countless pub and bar band players all over the world. By the early 2000s, Dunlop was able to boast that the Cry Baby was the best selling effects pedal in the world. This mix of opportunism mixed with good engineering practice would go on to become a feature of Dunlop’s expansion and growth, most notably with its purchase of the defunct MXR brand later in the decade. MXR’s pedals were much loved by 1980s guitar fans, particularly the iconic Phase 90, but the rack boom had seen the company’s stompboxes decline in general popularity. Dunlop saw potential, reviving the brand and building on the company’s heritage with new designs that appealed to guitarists of the era, such as the Super Comp and Auto Wah. In recent years, Dunlop continued its commitment to effects making by bringing boutique effects pioneer Jeorge Tripps into the company, while also adding his Way Huge brand to the Dunlop family. One way or another, there can’t be many guitar players on the planet who haven’t used a product Jim Dunlop created, and in that he’ll be remembered as one of the most important and influential figures in the history of the guitar industry. Dunlop is survived by his son, Jimmy Dunlop, and his daughter Jasmin Dunlop Powell. Guitar.com sends its sincere condolences to all who knew him.